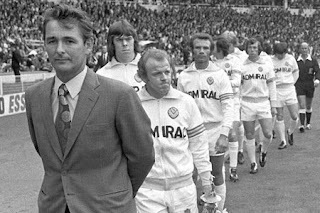 The time seems just about right, now that thing at Elland Road are finally beginning to look up again, that I delve into the intriguing past of one of the UK’s most historic and controversial clubs which just so happens to be my club; Leeds United. Most people’s first impressions of Leeds are of ‘Dirty Leeds’ and ‘Leeds scum’, an idea which has been perpetuated in a certain song of which I am sure you are all aware of. It is true that we don’t have a lot of friends in British football. It is also true that many of the reasons for this ‘hatred’ have been the result of our own actions as a club. However, I intend to focus on the footballing prowess and history of one of English football’s finest institutions. So sit back and strap yourselves in for one hell of a rollercoaster ride through the life and times of this awakening Yorkshire giant. It is impossible to think of this club’s great past without thinking about the one and only Don Revie; The Father of Leeds United. After the renaming of the former Leeds City to Leeds United in 1919, just a few decades later the big man arrived at Elland Road. He immediately set about the task of building the club up. One of his main moves was to change the kit colour from the traditional blue and yellow to white in order to imitate the famous Spanish giants Real Madrid. The players of that Revie era will go down as some of the greatest to grace the game in these islands and on this continent. The famous Leeds teams of the seventies with the likes of Billy Bremner, Peter Lorimer, Eddie Gray and Norman ‘bite ya legs’ Hunter (to name but a few) began to turn Revie’s vision into reality on the pitch. An Promotion to the top flight was soon followed by First Division titles, an FA Cup triumph in 1972, a League Cup and many other successes. There were at the time many admirers but just as many critics of the perceived physical nature of their play as well as with a poor disciplinary record and gamesmanship. These aspects of their success were mainly responsible for the nickname ‘Dirty Leeds’. I am sure we have all seen the film, ‘The Damned United’ starring Michael Sheen in which he plays Brian Clough during his infamous ill-fated forty four day spell at Leeds in the post Don Revie era. Revie had by this time taken on the role of manager of the England team and it was up to Clough, who had had a bright start to his managerial career with Derby County during which time he was part of many ferocious and famous encounters with his next employers. However, things did not work out for Mr Clough and he was sacked just forty four days into his job. The year after, Leeds reached a European Cup final which they lost to Bayern Munich as Clough moved on to what would be a terrific career in management elsewhere. Perhaps the players he had under his command were so loyal to the ‘father figure’ that was Don Revie, that he never really had a chance of winning them over. The fact that he was often Leeds’ biggest critic probably didn’t help his cause. The early nineties will be memorable in all Leeds’ fans minds. That championship winning side of the 1991/1992 season with Howard Wilkinson at the helm and players like Gary Speed, David Batty, Gordon Strachan, Gary McAllister and Eric Cantona (We didn’t know what he was destined to be then) will live long in the memory and was poignantly remembered recently when the all too tragic events of Gary Speed’s death shocked us all. That title winning season ensured Leeds would be the final side to lift the old first division title as the advent of the Premier League approached the following season. And boy has the Premier League era been an eventful one for this football club. Most notably in the late nineties and early 2000s, Leeds were consistently finishing in the top four and competing in both the UEFA Cup and the Champions League (formerly the European Cup of course). Players such as Ian Harte, Lucas Radebee, Mark Viduka, Dominic Matteo, Alan Smith and many more contributed to a time of great excitement at the club which culminated in a Champions League semi-final against Valencia in 2001 which was ultimately an unsuccessful venture. However these years saw the likes of Deportivo La Coruna, AC Milan and Besiktas amongst other top European sides fall at the hands of David O’Leary’s side. Memorable draws at home to Barcelona and in Milan also occurred. These were good times to be a Leeds fan. Ever since, however, it has been a painful and difficult journey. Peter Ridsdale’s major financial gamble backfired and left the club having to sell its top players and eventually led to relegation from the Premier League in 2003/2004. The slide continued as relegation League One soon followed after a couple of nauseating seasons in the Championship which gave a glimmer of hope under Kevin Blackwell; but these were extinguished by Watford in a play-off final in 2006. 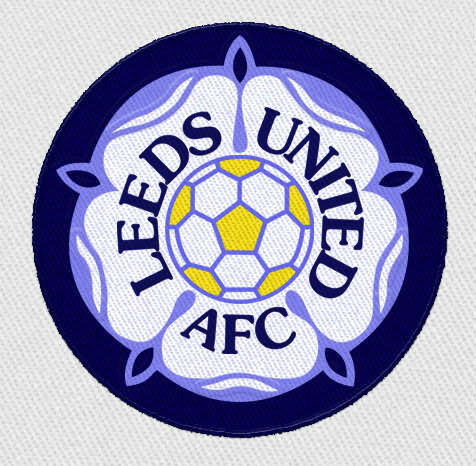 Leeds United now found them-selves in the third tier of English football for the first time ever. After an annoying few years in that league, often flirting with and then failing with bids for promotion, a 1-0 win over Manchester United in the FA Cup in 2010 and then, more importantly, a 2-1 win over Bristol Rovers on the last day of the season saw us back into the Championship. This season is Leeds’ fourth season back in the second tier and the post Bates/administration/point deduction era sees the club on more solid financial footing, with a good experience manager in Brian McDermott in the hot seat looking to push towards the promised land. The start to the season has been promising and 2013/2014 could be the year that the sleeping giants return to the big time.